A new(ion) adventure awaits!! 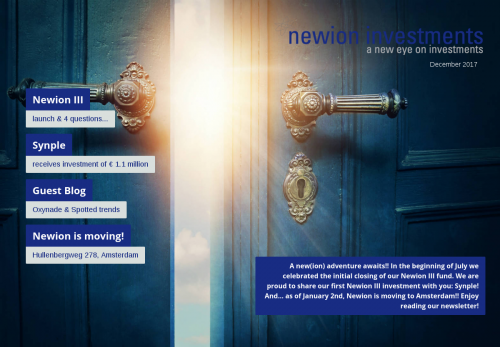 In the beginning of July we celebrated the initial closing of our Newion III fund. We are proud to share our first Newion III investment with you: Synple! And... as of January 2nd, Newion is moving to Amsterdam!! Enjoy reading our newsletter!